If one is going to be financially successful as a writer of historical fiction, one should write about the Tudors. Or about Rome – or medieval England. Maybe even Regency (especially when thinking Romance). Somehow, the 17th century exists in a bubble of obscurity, trapped between the great drama of the 16th century and the bloody upheaval of the 18th. The 17th century has no Marie Antoinette, no Mary Queen of Scots. Instead, the 17th century has religious strife a-plenty. It has the Thirty Years’ War, it has pillage. It has Wallenstein and Philip IV. It has (sniff) Gustav II Adold hitting the dust at the Battle of Lützen. It has the English Civil War, the execution of Charles I, Cromwell’s mass deportation of the Irish. It has Mazarin and Louis XIV, it has the Dutch rebellion against the Spanish, it has a Glorious Revolution, it has men like John Locke and Isaac Newton. Really, not much to write home about, right? Reading through that rather impressive list, I can only congratulate myself on my choice of century. After all, there is no shortage of dramatic material. Besides, there is a very personal reason for my fascination with the 17th century, and that’s my husband. Let me immediately disillusion you by assuring you my husband is not a time traveller. And I’m thinking this is a good thing, all in all. My man has his feet very firmly planted in the here and now, a counter weight to my flights of fancy, an anchor to hold me, a harbour to keep me safe. (Have I mentioned I’m very much in love with him? Have I told you how he can still make me laugh until my stomach hurts, that he can still make me cry happy tears when he whispers certain somethings in my ear?) Anyway; my infatuation with Mr Belfrage is neither here nor there – or maybe it is, but seriously, I must not digress – but the fact that he carries a signet ring on his finger is very relevant to this post, as is the fact that his family can be traced back to the more remote parts of time. He can claim ancestry from Erik XIV of Sweden (but rarely does, as Erik XIV was borderline insane, plus 90% of all Swedish noble families share that honour) but he can also claim Stuart ancestry – and all because of the religious upheaval that plagued Scotland in the 17th century. Picture Gothenburg in the early 17th century: having brought in Dutch city planners to design his new city – as yet very much under muddy construction – the Swedish king, Gustavus Adolphus, also needed to populate this city of his, preferably with merchants. Sweden at the time mostly traded in raw material. We exported timber, iron ore, wool and oats. We imported everything else – including capable people. On the opposite side of the North Sea lived a nation of savvy merchants, namely the Scots. Being a small and relatively poor country, Scotland produced a number of surplus sons, many of whom crossed the sea to Sweden (or elsewhere – preferably elsewhere – only a minority chose Sweden, having as yet not developed latter day’s appreciation for Swedish blondes). To this building site, yet another Scot arrived in 1624 – no doubt attracted by the fact that so many Scots were already there. 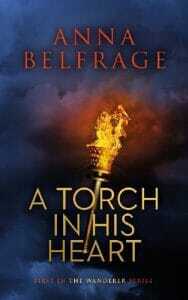 John Belfrage was twelve, and came with his mother, Joneta Stuart. As per the records, they were fleeing their homeland due to religious persecution – that was the reason Joneta gave. Given that they chose to go to Sweden, we must assume these refugees were Protestants. Sweden looked askance at Catholics, what with Gustavus Adolphus being busy cementing his reputation as the global defender of Protestants. John made a good life for himself. He became the mayor of a small Swedish city, saw his name and coat of arms placed among the Swedish nobility and had well over ten children. By the time he died, he was probably more Swedish than Scots, answering to the name of Hans (a diminutive of Johannes) rather than John. He probably mostly spoke Swedish, but I bet he now and then dreamed in Scots. Personally, I get the impression this was a very ambitious man, on a mission to reclaim whatever grandeur the precipitated flight from his homeland had caused him to leave behind. In my experience, vastly ambitious people have a large streak of egoism in them, so I am not entirely sure Hans would have been the kind of person I’d have liked wholeheartedly. But he did make good, and for that I doff my mental hat to him. Anyway; this little glimpse into my husband’s ancestry fascinated me (it made him so exotic! Me, being young, craved exotic) Where before my preferred historical reading matter tended to be focused on the 11th to 14th century, I began reading extensively about the sixteen hundreds, a period defined not only by religious conflicts but also by the birth of modern science, of modern concepts such as the rights of men. Sadly, at the time those human rights did not include the right to worship as one pleased, but the seeds for future liberties were sown. 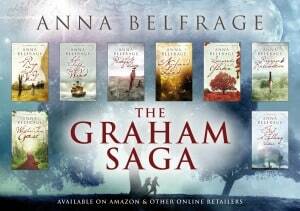 Out of all this reading The Graham Saga began to take form. My central character very quickly became a Scot, and because I was particularly intrigued by the tales of Covenanters and the brutal persecution they suffered at the hands of the restored Stuart monarchy, this shadow man of mine developed into a former Commonwealth soldier, a man of convictions and a deep personal faith. Just to spice up his life a bit, I decided to endow this man with a woman very different from him. Enter Alexandra Lind, a modern day woman who had the misfortune (or not) to fall through time and land at Matthew’s feet. The rest, as they say, is history. Alex rested back against the cave wall and concentrated on breathing without hurting herself. She studied him from under her lashes, irritated to find he’d gone back to gawking at her. What was the matter with him? Had he never seen a woman in jeans before? She looked closely at him. Tall, broad in shoulders and chest, but thin and with an underlying pallor to his skin – as if he’d been ill, just recently allowed out of bed. His hair was cut unbecomingly short except at the back where some longer strands still hung on, his cheeks were covered by a dark, unkempt bristle, like the one Magnus, her father, would sport at the end of his summer holidays – so far nothing alarming. His shirt though… Worn linen that laced up the front, mended cuffs – all of it hand stitched. Maybe his girlfriend had made it for him, or maybe New Age people believed in doing everything from scratch, in which case they needed a serious fashion update. She moved, scraped her foot against the rocky ground, and winced. “Sure, go ahead, touch all you want.” Well, within limits of course. She made a huge effort to look him straight in the eyes, despite the fact that she could see two – no, three – of him. He spent quite some time on her forehead, close enough that she could smell him, drawing in the scent of sweat and unwashed male. She wrinkled her nose. Phew! How about some soap? “No, I’m fine.” She wasn’t; her brain was banging against her skull, the broken skin on her forehead itched, her ribs were using her lungs as a pincushion and her foot… no, best not think about her foot, because it looked absolutely awful, blisters like a fetter round her ankle and all the way down to her toes. She flexed them experimentally. It hurt like hell. He poured some more water onto the rag he was using and wiped her face. She liked that, opening her eyes to smile her thanks at him. He smiled back, teeth flashing a surprising white in the darkness of his beard. He sat back on his haunches, a worried expression on his face. “What?” Did she need stitches? Because she really, really hated needles. “Oh.” Where did this man come from? “That’s alright; you won’t be the first to see me in the flesh.” He looked so shocked she laughed, but the pain that flew up her side made her gasp instead. She was aware of his eyes on her skin, on her neck, but mostly on her breasts, quick glances that returned time and time again to the lacy red bra edged with cream that cupped her breasts and lifted them high. She sat up straighter, shoulders pulled back. She peeked at him, met his eyes and looked away. “What’s this?” He put a finger on the satin strap. Impossible; men that hadn’t seen a bra didn’t exist – not where she came from. “A bra,” he echoed, tracing it round her middle. She jerked back, making both of them gasp. “My apologies.” He raised his hands in a conciliatory gesture. “I shouldn’t … But there, now it’s done.” He gave her the shirt and averted his eyes as she struggled to put it back on. Alex closed her eyes, trying to come up with a label to pin on this strange man. Isolated goat farmer? Recluse? Maybe he was an old-fashioned – extremely old-fashioned – Quaker, or maybe the Amish had set up a little colony up here in the Scottish wilderness. Buy A Rip in the Veil here! There’s nothing wrong with the Beaver! It’s an industrious (and Canadian) symbol. 🙂 Very interesting about the Scottish connection. Anna, I also find the 17th century fascinating and have set three of my novels then. One, This Rough Ocean, is based on the true experiences of MY husband’s ancestors. Interesting coincidence, isn’t it? The Swinfen coat of arms (which you can see on the back covers of my Christoval novels) features 3 leopards’ heads, who look like rather sweet pussycats. I thought at first that yours were boars. Were beavers used because John/Hans traded in furs? Those are Beavers? I’m a very distant relation to your husband (my 2nd great grandmother was Anna Maria Belfrage) and up until this moment I’ve always thought they were dogs with beady eyes. Wait until I tell my mother, she’s going to get a kick out of that. Beavers. By the way, I’m quite the fan of your blog and enjoy reading your stories. Yes, they are beavers (and I hope you found the other post about the coat of arms – there’s a link in this post). I hope your mum is adequately thrilled and thank you for your kind words about my blog. Very encouraging! Yes, I read the other post as well. It’s all very interesting. I’m a historian, but it wasn’t until this spring that I taught a class focused on Sweden and Finland. It was great fun having grown up with the stories from the family genealogy–my aunt started working on the Belfrage side of it in the 1970s–but, teaching it was more than a little daunting.